Headquartered in Seattle Washington, USA, Baobab Foods LLC has developed dedicated production facilities in both the United States and South Africa. 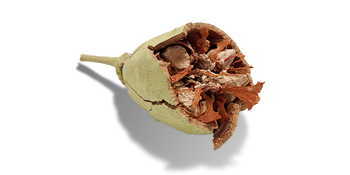 We are the world’s largest supplier of organic Baobab Fruit Powder from the South African region making us the leading distributor domiciled in the United States. In addition to our superfruit powder, we produce organic Baobab Oil for quality cosmetics and we are the creators of the innovative BaoBites™ Superfruit Snack, a deliciously chewy fruit snack which incorporates our Baobab Fruit Powder and can be easily integrated into a wide variety of health food products. Our source to finished product process ensures sustainability, support of native micro-economies, and our proprietary production techniques ensure that all of our products are of the highest quality, consistency, and stability. Our global footprint enables us to serve customers worldwide. We are committed to delivering exceptional quality and value to our organic product lines. The inspiration for Baobab Foods came from our founder, David Bruck who wanted natural products from Africa. He was introduced to Baobab fruit by a team member and was impressed with the health benefits of the Baobab fruit and was amazed at its intense nutritional profile. He took a sample back with him to the US. When we sampled the fruit and learned about Baobab’s health benefits, we all knew we had to bring this amazing superfruit to America. In 2010 Baobab Foods was created. In our first year, we built relationships with organic certifiers, met with villages to establish the wild harvest, and designed the processing of the superfruit powder in order to achieve the highest quality. It took that first year before our inaugural shipment to the United States arrived. 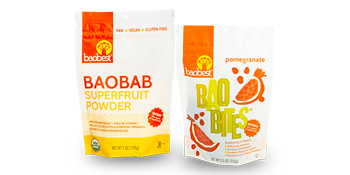 In the next three years, we expanded our wild harvest and increased our shipments of Baobab powder in addition to creating BaoBites™ Superfruit Snacks. BaoBites™ Superfruit Snacks are delicious, chewy, fruity snack packed with antioxidants, fiber, and potassium (among other things). Made with organic ingredients, the fruit snacks are a huge success and complement our other Baobab Superfruit products. Keeping in line with our original commitment to sustainability, preserving traditions, fostering new economies and maintaining intense quality control measures; our first Baobab processing facility was opened in Knysna, South Africa. From there, the reach continued to grow and sales were established in Europe, Asia, and Latin America. In 2017, the newest Baobab processing facility was opened in Cape Town, South Africa which helped to quadruple our production capabilities and helps support one of our most valued partnerships yet, www.ThirstRelief.org, a company dedicated to changing lives and communities through clean water solutions. Baobab Foods LLC is a superfood company with a mission to provide high quality, great tasting, nutrient-dense ingredients and retail products that deliver natural fruit-based nourishment for consumers while creating socio-economic opportunities for marginalized African communities. All of us at Baobab Foods are dedicated to being compassionate, engaged community members. Since our creation, we have worked to improve the micro-economies of our harvesters in South Africa with a heart and mind for those involved throughout the harvesting process. We know from experience that rural families can double their income by harvesting and selling natural products, like Baobab, from their woodlands. Increasing annual income from $100 to $200 may not seem like much to many, but it can literally make the difference between feeding the family or going hungry; between sending children to school or needing them to work; between getting medical attention for a sick relative or leaving them untreated. To further our involvement with the communities that harvest our Baobab, in 2018 we launched a partnership with ThirstRelief to develop clean water projects. 5% of all Baobab Superfruit Powder sales will fund clean water projects through ThirstRelief. Beyond our commitment to our neighbors, we are committed to our environment and the sustainable harvest of Baobab. You can learn more about our commitment to sustainability here.